Reference number for this case: 16-oct-54-Neuilly-L'Evêque. Thank you for including this reference number in any correspondence with me regarding this case. Mr. César is Polish, 61-year-old, he lives since 17 years in Neuilly-L'Evêque. His small house is located all at the top of this place, chef lieu de canton [chef lieu de canton is the main town of a canton in an administrative point of view. A canton is an administrative subdivision of the department]. Employed by Mr. Suion, building contractor in Chalindrey, he goes from building site to building site, but goes every morning, at the same time, in the city of Chermude. His fellow-citizens, judge their comrade of work to be a serious chap who does not fear work, they have much sympathy for him. One listened to his saucer story with more or less serious, which annoyed César. His saucer, dammit! He saw it, and even saw it so well that it gave him one of the most awful fright in his life. On Saturday, October 16, he left his residence at 6, as usual, to go towards Chalindrey: a way which he covers by bicycle each day, to reach Chalindrey, and return. A thick fog covered the valley and the road of Andilly on which he firmly pedaled. Arrived at a few hundred meters of the railway crossing at the exit of Neuilly-L'Evêque he suddenly saw, on his left, in a grazing ground, at 150 meters approximately, a strange "homunculus," high of 1,50 m hardly. Surprised, César slowed down his pace. He saw the small individual then moving towards a machine having the shape of a reversed bowl, high of a meter and 2,50 meters broad. Mr. César is affirmative as for the precision of these various dimensions. The homunculus, indeed, exceeded of more than one head the disc in which it took seat. As soon as it had settled there, the machine slipped gently on the grazing ground, at a distance from 20 to 30 meters, then, suddenly, rose in the air without emitting any sound. Fear overriding curiosity, César felt wings grow in his back and, thrown into a panic he passed the crossing most quickly moving away from the place of the appearance. Ufologist Fernand Lagarde presented the case in Neuilly-L'Evêque on October 16, 1954, in the magazine Lumières Dans La Nuit within an article compiling previously unknown cases found in his archive. He presents it in the form of an integral transcription of the newspaper article in La Haute Marne Libérée for October 19, 1954, indicating it as source, without additional comments. October 15 in Chalindrey (52) - (CP: T2). An employee mason of Neuilly-l'Evêque who goes to his work in Chalindrey, by bicycle, sees, at 150 m at the edge of the roadway, a strange homonculus tall of 1,50 m only. Surprised, the witness slows down. He sees the small individual then moving towards a machine in the shape of a reversed bowl. He affirms that the object is 1 m high and 2,50 m in diameter. The small being exceeds of more than one head the disc in which he takes seat. As soon as he is in there, the machine slips gently on the ground of the pasture, on a distance from 20 to 30 meters, then suddenly rises in the airs without emitting any sound. The object is lost in the fog which covers the valley, that morning around 6 hours. There was no of investigation of gendarmerie. (Ref. : Magazine #2 of the 5255 Group based on la Haute-Marne Libérée for 10/18/54). Jean Sider indicates that on October 16, 1954 at 6 o'clock in the morning in Neuilly-l'Evêque in the department of the Haute-Marne, Mr. César, then 60 years old, was riding a bicycle to go to his work in Chalindrey, in the fog, which did not prevent it from seeing a "homunculus of 1 m 50" in a pasture at the edge of the road at the exit of Neuilly-l'Evêque. He slowed down for better seeing it and noticed that "the small character" moved towards a "machine in the shape of an inverted bowl of one meter height" on two meters broad, that "the homunculus" exceeded by more than one head in height. The homunculus seated himself in the machine which gently slipped on the meadow on a distance from 30 to 40 meters then rose without noise and disappeared in the fog. Jean Sider indicates that his local source is the newspaper "La Haute Marne Libérée" of Chaumont on page 3, for October 19, 1954. He specifies that the rival newspaper "Le Haut-Marnais Républicain" had maintained a controversy on another case and had taken a revenge in their October 21, 1954 issue, on page 4 by writing that what Mr. César had seen was a 4CV car and its driver a gendarme who came to pick up mushrooms, the fog having maintained the mistake. He writes that a gendarme can absolutely not be mistaken for a homunculus or a dwarf, and in addition, a car cannot fly away. I was born in Neuilly l'Evêque in 1943, I was thus 11 years old at the time of the facts, and I remember it perfectly. César had an admirable spouse (Maria) who was a washerwoman, and who met several days per week my aunt who was also a washerwoman, these meetings took place within the community launderette which is opposite the church, and which is now transformed into garages. This story made a great fuss, the gendarmes came by from their squad of Rolampont. It seems, according to an active witness of this appearance, that what César saw in all good faith, was in fact only this person who was picking mushrooms, and who had entered the pastures with his vehicle. I point out that this day there indeed was a awful fog, and it is easy, after the explanations (made privately) of the author... the mushroom collector, to imagine the scene. See you soon on the web. Stonemason M. Cesar De Neulliy was riding his "velo-moped" when he spotted on the road ahead a strange humanoid figure of about 1.50m in height. Surprised, the witness slowed down. He then watched the stranger walk towards an object shaped like an inverted bowl. The object was over 1 meter in height and 2.50 meters in diameter. The small entity appeared to install some kind of disc-shaped apparatus on the object. The figure then disappeared into the object, which then shot up at incredible speed. 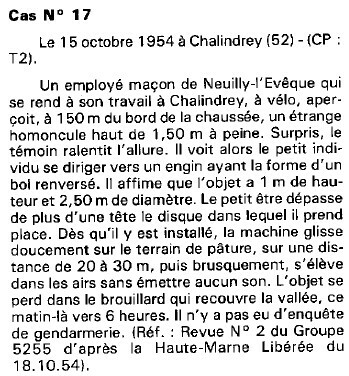 This catalogue indicates that in Neuilly L'Evêque in the Haute Marne on October 16, 1954 at 06:00 hours, a witness was on bicycle on the road going to Chalindrey. The fog covered the valley. A hundred meters before the level crossing, he observed on his left the presence of an entity of human form of approximately 1 m 50 size. He was surprised and slowed down. The entity then joined an object in the form of a reversed bowl of 2 m 50 broad by 1 m in height. He clearly saw that the entity had a size higher than the height of the object. After he took seat, the object slipped gently initially on a distance from 20 to 30 m, then rose suddenly in the airs without any sound. The source is noted "Lumières dans la Nuit par **". The website indicates that on 16 October 1954 at 06:00 in Neuilly L'Eveque, France, "Humanoid in road runs to 2.5m diameter disc. UFO glides 30m, then shoots straight up. Silent." And: "Close encounter with a an unidentified craft and its occupants. One disc, about 10 feet across, was observed in a pasture for over one minute. No sound was heard." The author indicates that there was a close encounter of the third kind in Neuilly-l'Evêque, the Haute-Marne, on October 16, 1954, at 06:00, the witness being Mr. César, 60 years old at the time. He drove by bicycle towards Chalindrey where he worked, there was fog, but this handicap did not prevent it from seeing in a pasture at the edge of the road, at the exit of Neuilly-l'Evêque, a "homonculus" of only 1,50 m.
He slowed down for better seeing and noticed that the small being moved towards a machine in the shape of a bowl turned upside down of a height of one meter by two meters fifty broad. The homonculus exceeded his machine of more than one head, and it took seat inside. The machine slipped gently on the meadow on thirty to forty meters, then it rose without noise and disappeared in the fog. The sources are indicated as Haute-Marne Libérée for October 19, 1954; Jean Sider, Le dossier 1954 et l'imposture rationaliste, pages 204-205. Mr. César, 61 years-old Polish resident of a small house since 17 years in the top of Neuilly-L'Evêque, was employed as mason in Chalindrey and went from construction site to construction site. But every morning at the same hour, it went to the Chermude quarters in Chalindrey. He did just so on Saturday, October 16, 1954, at 6 o'clock, by bicycle. He was under a thick fog which covered the valley and the road of Andilly, pedalling, when, arrived at some hundred yards of the railway crossing of the exit of Neuilly-l'Evêque, he saw, on his left, in a grazing ground, within 150 meters approximately, a strange "homunculus", who was "only" 1.50 meters tall. Surprised, he slowed down, and then saw the small individual moving towards a machine having the shape of a reversed bowl, high of a 2.50 meters meter and broad of 1 meter. César was adamant about the precision of these various dimensions, specifying that the small man exceeded of more than one head the disc in which he took seat. As soon as the small man had settled there, his machine slipped gently on the grazing ground on 20 to 30 yards, then, suddenly, rose in the airs without emitting a noise. Scared, César did not try to see some more, and passed the railway crossing as soon as possible. Such are the facts reported at the time by the regional newspaper, in which we are also told that César's colleagues stated he is a serious person and a hard worker whom they much appreciated. His story was listened to with more or less seriously, which angered César, and he insisted: he saw what he told he saw, and it gave hom one of the biggest frights of his life. The case was then lost in oblivion, and was only exhumed in 1986, more than 30 years later, by ufologist Fernand Lagarde, in the form of the newspaper's article he found in his file.  Then in 1997, ufologist Jean Sider discusses the case again, adding that another newspaper had given the following explanation: Mr. César had actually seen a 4CV car and his driver was a gendarme who came to pick up mushrooms, and the fog allowed the misinterpretation. But Jean Sider rejects this explanation as due to an alleged jealousy between the two newspapers, and vituperates against some "socio-psycho of the East" of France who are said to have dared to accept the explanation. I, from the East of France but not one bit of a "socio-psycho", had the chance in 2004 to be contacted by a resident of Neuilly L'Evêque who was aged 11 at the time of the event and remembers it perfectly. The affair cause a big fuss at the time, he told, and the gendarmes of the Rolampont squad were sent. My correspondent confirms that César, in all good faith, had indeed been deceived by the fog. It was indeed a person from our own planet whom my correspondent knows, who had left in 4CV car to pick up mushrooms, and who was not recognized as such under the very heavy fog that reigned on the location. 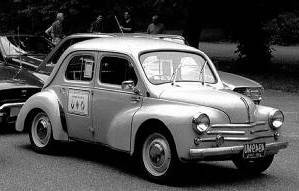 César had not lied one bit, he gave rather probable dimensions when the 150 meters observation distance is remembered, a 4CV is indeed a machine, it does look a bit like a saucer, and one does sit inside. Probably because of the flap of stories of flying saucers in the newspapers then and not knowing exactly what a flying saucer was supposed to be, Cesar had let himself been impressed by the ghostly and distant display, the silence due to the fog probably contributed, the car being in a pasture and not on the road adding to the confusion, and the newspaper probably added the "homunculus" notion for the man that Cesar specified to be one meter fifty all the same. All this does not prevent the case from surviving without mention of the explanation in ufological catalogues here and there. Last but not least, the case is very similar to another such confusion in which a witness mistook a man and a car in foggy conditions for a flying saucer. [ml1] Article in the regional newspaper La Haute Marne Libérée, France, October 19, 1954. [---] Article in the regional newspaper Le Haut-Marnais Républicain, France, October 19, 1954. [fl1] "De l'Inédit Dans Nos Archives de 1954 et 1956", article by Fernand Lagarde, in the ufology magazine Lumières Dans La Nuit (LDLN), France, #259-260, pp 42-43, January/February 1986. [---] Bulletin #2 of the 5255 Ufology group, France. [js1] "Le Dossier 1954 et l'Imposture Rationaliste", book by Jean Sider, Ramuel publisher, France, page 204, 1997. [pg1] Personal e-Mail to the author of this website, France, May 31, 2004. [jg1] "RR3 - Le Dossier des Rencontres du Troisième Type en France", book by Julien Gonzalez, Le Temps Présent publishers, France, page 142, 2014. 1.1 Patrick Gross August 18, 2010 Addition [rr1]. 1.3 Patrick Gross October 27, 2016 Addition [jg1].